Many people take the bathroom for granted and forget that using it can be an enjoyable experience. Remodeling the bathroom can remind people what a valuable piece of real estate the bathroom can be! ProSource® of Atlanta-Marietta’s world-class bathroom products are available for competitive wholesale prices and can open up a whole new world of possibilities. 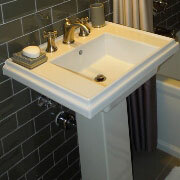 As a trade pro, you need to ensure your clients get bathroom sinks they will enjoy using for years to come. Our array of great bathroom sinks allow you and your client to create the perfect look, whether you’re going for something modern, traditional, or funky. Faucets have the ability to bring a whole sink together, so making sure your faucets get along with your sink choice is important. 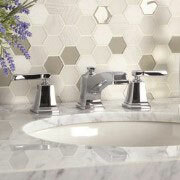 That is why we offer such a wide array of beautifully-crafted faucets for our trade pros to choose from. Visit our showroom to check out our materials, designs, and price ranges. The shower can be a place to relax, get clean, and think things through. When a shower is old and uncomfortable, you miss out! Let our designers help you and your client choose a great shower configuration that works with your space, budget, and expectations. Having a place to store things in a bathroom is key, and this job usually falls to the vanity. A great vanity provides a useful counter, storage space, mirror, and accessories. 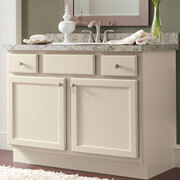 ProSource of Atlanta-Marietta offers everything you and your client need to design the perfect vanity. 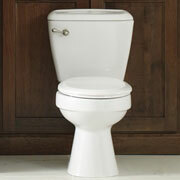 You can find tubs in many shapes and sizes, and ProSource of Atlanta-Marietta provides them all for wholesale prices. 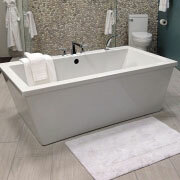 Whether your client is looking for a jacuzzi, a traditional tub, an oval tub, or a shower-tub combo, we can help. There’s no doubt about it: the toilet needs to work. At ProSource of Atlanta-Marietta, we understand how important the toilet is in any bathroom remodel, and we are sure to have the toilet that fulfills your client’s expectations.